Michelle made it! She had the huge goal of competing in the Ironman World Championship race. That dream came true when she earned her slots at Ironman Lake Placid in 2010 and Ironman Wisconsin in 2012. She competed in Kona the same years. Michelle has dabbled in a few other venues in the recent past, such as cyclocross, cross country skiing, and figure competition but her true love remains long distance triathlons. Even though she's labeled a “master” triathlete (which sounds like code for “old” to her), she still thinks there's room for growth and improvement and looks forward to seeing what she can accomplish. Visit Michelle's web site. Chris started doing kids' tris when he was still in junior high. 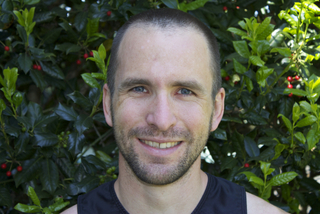 A former collegiate swimmer and runner, he now focuses solely on triathlon. He prefers to race Xterra, but being stuck in the cornfields of Central Illinois severely curtails this pursuit. Sweet is a librarian by day and masquerades as a USAT coach by night. Like many of us, Sweet is constantly seeking that perfect parenthood-work-training balance. Sweet is a six-time Ironman finisher, including Kona in 2008. Be sure to follow him on his web site, The Goal is the Journey where he, being a devout student of the sport, shares race reports, tech tips, nutrition information and other sport-related musings. One of his most important goals is sharing his passion for triathlon with others. 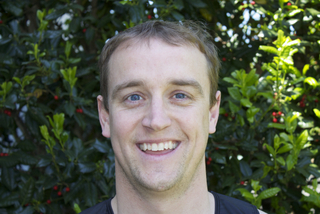 Visit Chris's personal training web site here and his coaching web site: www.revolution-multisport.com. 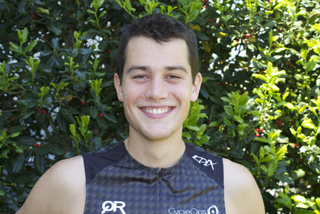 Charlie is an age group triathlete who lives and trains in Southern Louisiana's Cajun country. He is a family physician and married father of four daughters. Charlie's longest triathlon distance was a 70.3 event until he scorched the Ironman Florida course with a wicked 12-hour-and-change finish in November, 2008. 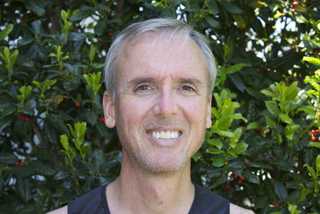 He has run several marathons and half-marathons, including the Boston Marathon in 2011. His most recent marathon was the Louisiana Marathon in New Orleans in January, 2013. Charlie's biggest goal in life is to be a great father and husband. 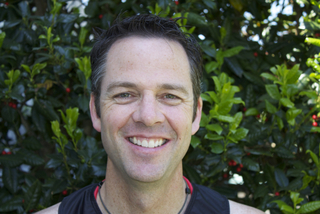 He loves participating in triathlon because it sets a good example of fitness and fun for his children. He also enjoys photography, boating, and serving on mission trips, his most recent one being to Honduras. Visit Charlie's web site. Sara is a high school history teacher near Cleveland, Ohio. She loves spending time with her family, and sharing the finish line of her races with her two children. Sara completed her first sprint triathlon in 2001 and never looked back. She worked her way up through road racing and sprint triathlons all the way to Ironman Wisconsin. 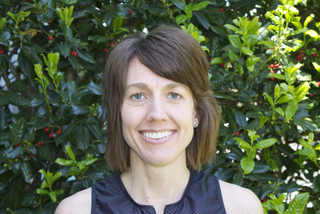 Sara loves to share triathlon with new athletes, and can't wait to help train some new triathletes to complete in their first sprint triathlon this summer. She enjoys sharing races with others almost as much as she enjoys racing. Visit Sara's web site. In 2004, the person formerly known as "Fat Rob" was overweight, lazy and not doing much. Then, "RobbyB" lost 35 pounds, left "Fat Rob" behind, and went on to race and finish Ironman Wisconsin 2005 ("The Hot One"). Since, he's continued racing and has climbed up the local racing results with several age group podium finishes in triathlons and aquathons. Rob organizes the Wisconsin Brick Adventure (WIBA) weekend and is the captain of the wetsuit peeler volunteers at Ironman Wisconsin, is the local race coordinator for Rev3 Wisconsin Dells and announces races in the Madison greater area and beyond. His latest challenge is balancing the of needs of training with raising two toddlers but he loves every minute of everything. As the Events Director for Team Evotri, contact him whenever you're in Madison. He'll be glad to swim, bike or run with you and provide information on the area. Look for irreverent news and occasional updates on training and race results when you visit Robby's web site. John Paul is a graduate of Michigan State University. He discovered triathlon when the Michigan State Triathlon Club was forming. Through the club, he met most of his college friends and loved being a part of the team's growth and success. If you cut him, he bleeds green. He is now living in North L.A. and going nuts on the amazing landscape, sensational weather, and year-round training. Regarding the tri scene, he has raced all distances. He qualified for Kona at Ironman Florida with a 9:24 and finished the Ironman world championships in 10:00. One of his best performance was winning the inaugural HITS Ironman championship. John Paul owes everything to his wife Caitlin and his wonderful family who support him through the good and the bad. His philosophy is God is great. Life, beer, and coffee are good. Visit John Paul's web site. Sarah ran her first marathon in 2000 and has done at least one a year since. On July 17, 2004, she raced her first triathlon and decided that day that she would do Ironman. She realized that dream in Wisconsin in 2006 and again in 2007. A self-proclaimed “endurance junkie,” Sarah has run a 50K and hopes run her first 50-mile trail run in the near future. Her latest "endurance adventure" started in 2011 when she became a new mom. When Sarah is not working at her job as a clinical pharmacist in a Minneapolis hospital, she enjoys finding new adventures with her always supportive husband, Steve. 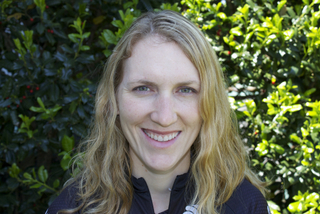 Sarah’s passion is helping others discover triathlon and endurance sport; she has introduced countless friends, family, coworkers, and random acquaintances to the scene. 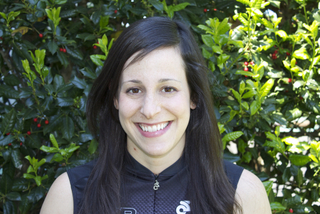 Sarah loves to talk triathlon and running, so ask her a question any time! Visit Sarah’s web site. 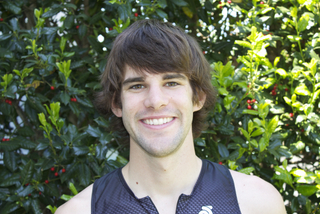 Matt’s entrance into the sport of triathlon came his freshman year of college where he came in with a strong swimming and running background. It didn't take long for him to start making a name for himself on the Michigan State Triathlon Club, his childish acts and foolish comments seemed to constantly turn heads, for better or worse. He exploded onto the scene with some impressive performances before multiple injuries had him eating candy and donuts heckling others from the sidelines. It was then he realized his second calling: coaching. He currently lives in Dallas, TX, starting a new career in teaching high school mathematics, looking to get into coaching as well. He strives for the most out of himself and those close to him each and every day and looks forward to continued success in the sport. Matt longs for the day he gets to exact his revenge on the big island. Visit Matt's web site.